Electrical appliances produce toxic electromagnetic fields (EMFs). These fields can layer, one upon the other, creating a harmful level of radiation. That’s why the kitchen is a hotspot for harmful EMFs…but other rooms are affected, too. These produce very high toxic readings, into radio wave frequencies and even microwave frequencies. This is because the electric wires attach to a fuse box draws a lot of electricity. can emit EMFs as high as circuit breakers. 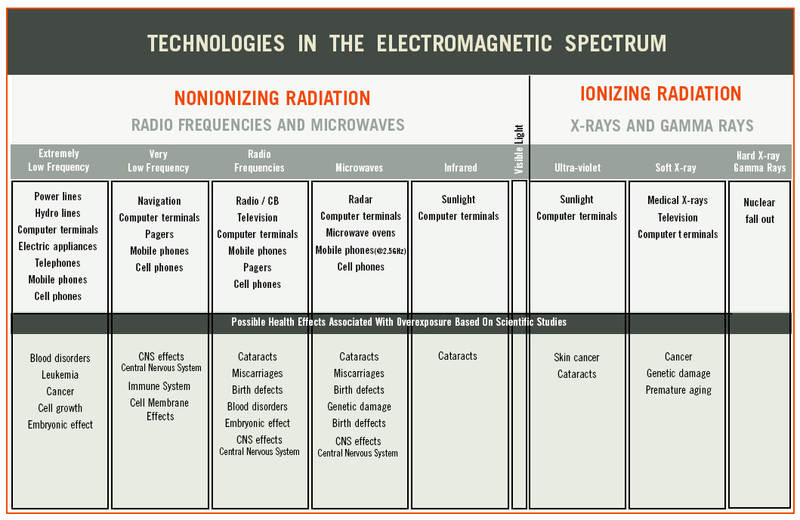 The older the unit, the greater the dangerous EMF radiation. This mode of heating utilizes electrical wires that are embedded right into a home’s wood or concrete flooring. EMFs can reach 100+ mG at the floor and 30+ mG at waist height. create a higher level of EMFs than incandescent bulbs. A typical fluorescent tube may have a reading of 160 to 200 mG at 1 inch away. Even electromagnetic radiation from a compact fluorescent light can be problematic. These lights require a transformer that can transmit EMF upward as well as downward, which means rooms above as well as below are affected. 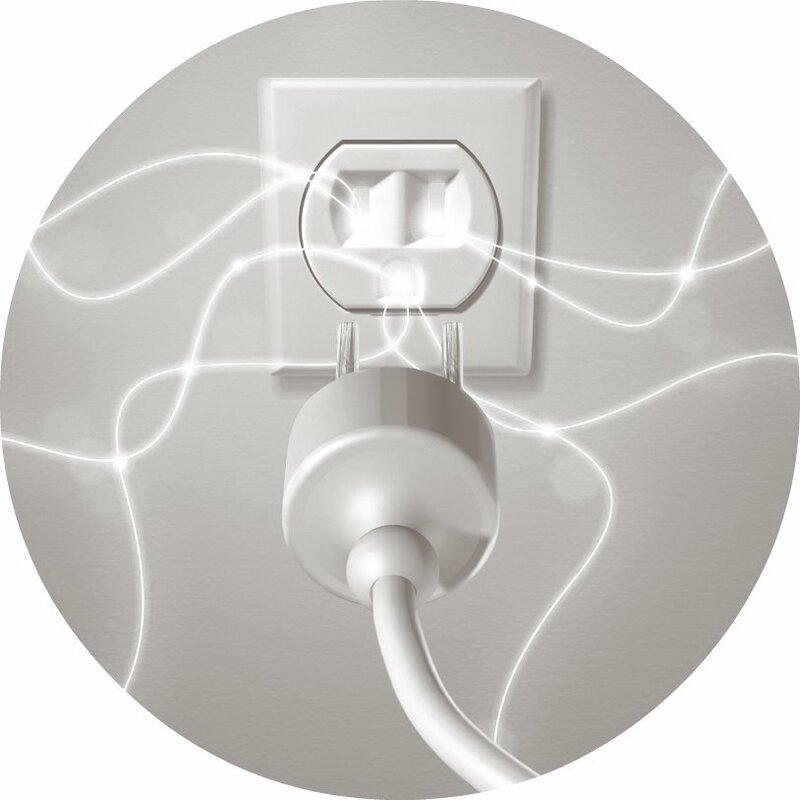 Anything that’s plugged into a wall socket gives off an electromagnetic field (EMF) of 50-60 hertz, even if that appliance is turned off. Cordless phones emit a tremendous amount of toxic radiation—twice as much as cell phone masts! The danger is in the handset as well as the base stations, which continuously give off harmful radio waves well over 100 hertz (1 kHz) every hour of the day. Recently, the British Health Protection Agency found one of the causes of neuromas (tumors deep in the ear) are cordless phones. For cordless phones users the incidence of acoustic neuromas doubles in just 10 years. Even the handset of a land line telephone emits high EMFs. The telephone receiver, the part held to your ear, carries a harmful south polar magnetic energy. TV screens and computer monitors radiate EMFs of 60Hz or more. Older style televisions and computer screens produce radio-frequency fields of 10,000-30,000 Hz (10-30 kHz) as well as 60 Hz fields. Because people spend so much time sleeping, bedroom EMFs are a serious concern. The EMF exposure is typically less intense than that of a kitchen, but the exposure is prolonged. According to guidelines, bedroom EMFs (especially in the area of your head) should remain under 1mG while sleeping and never exceed 2-4 mG.
Electric blankets and waterbeds are major EMF sources, all the more dangerous because of how close they are to sleeping people for so long. 1mG or less: considered safe for sleepers. Above 2 mG: begins to create biological stress. 8 mG: electric blanket or waterbed heater on low. 21 mG: electric blanket or waterbed heater on high. 6-7 inches: how far nearby magnetic fields penetrate into your body. A recent study linked electric blankets to miscarriages and childhood leukemia. Similar health issues have been reported by people who sleep on waterbeds, which utilize electricity to heat the cool water inside the mattress. That electric clock next to your head could be emitting a magnetic field of 5 to 10mG—even up to a yard away—the EMF equivalent of an electric power line! Surprisingly, these everyday use devices can emit EMFs as high as 200 to 400 mG when turned on. Because of this, experts recommend hair dryers not be used on children, because EMF fields that strong can damage rapidly developing brain and skull. young nervous systems.